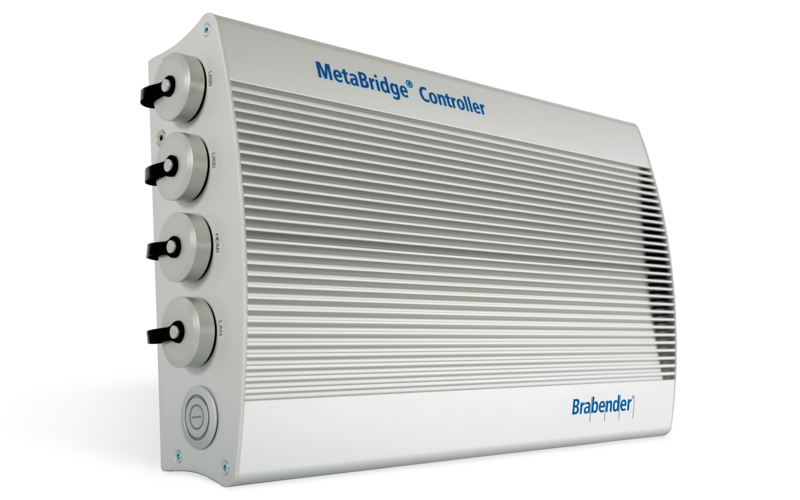 The new Brabender MetaBridge Controller (MBC) is a cost­efficient solution to upgrade your Brabender devices. Expanding enables you to use the web­based software Brabender MetaBridge. Thus, you can access your measurements from any location with any number of users simultaneaously via a range of different terminals. Which Brabender solutions is the MBC compatible with? Once the connection is established via USB, the controller is instantly ready for use – without any prior installation. The software can be used on all currently available tablets and/or smartphones. For optimum visualisation, a minimum display width of 1024 pixels is recommended.